New Chromebooks may requires a USB-C to HDMI Adapter. Wireless casting is fantastic and probably the best way to stream a Chromebook screen to another monitor. However, for certain things, relying on something like a Google Chromecast to get content from your laptop to a big screen can be a risky endeavor. This is when is may be useful to get a USB C to HDMI adapter for a Chromebook. 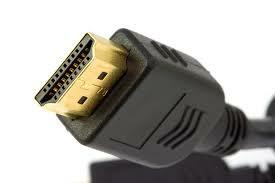 This will allow you to hook a Chromebook up to an external monitor or TV screen. 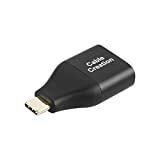 Use these adapters to connect the latest USB-C™ devices to HDMI-enabled TVs and monitors for movies or gaming in clear, crackle-free resolution (up to 4K/60Hz) and rich audio. This adapter’s reversible USB-C connector means setup is a cinch. Below are three high quality USB C to HDMI adapters for Chromebook. Seamlessly display high-quality sound and video through your USB-C port. Designed to be as portable as possible, fitting in any pocket, pouch, or pack with room to spare. 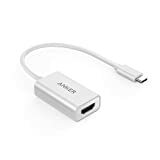 Anker USB-C HDMI Adapter, welcome guide, worry-free warranty, our fan-favorite 18-month warranty, and friendly customer service.